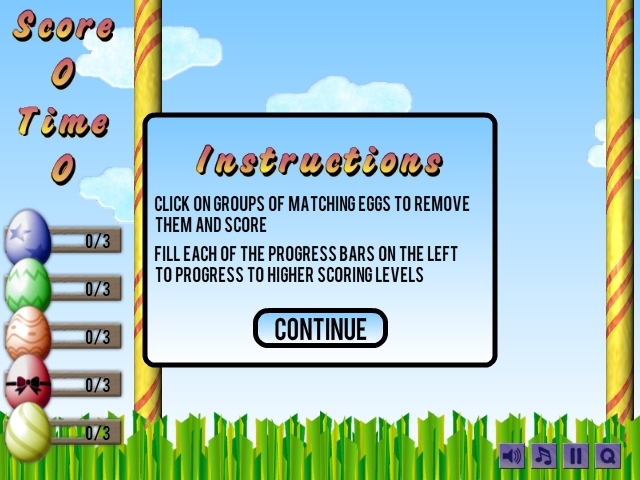 A beautiful Easter Egg themed, physics group matching game. 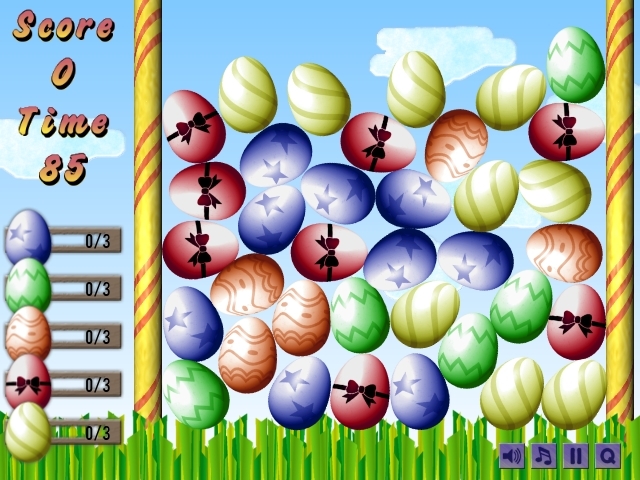 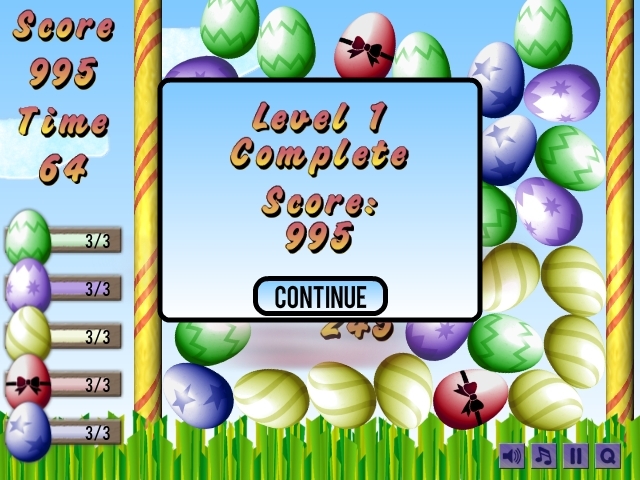 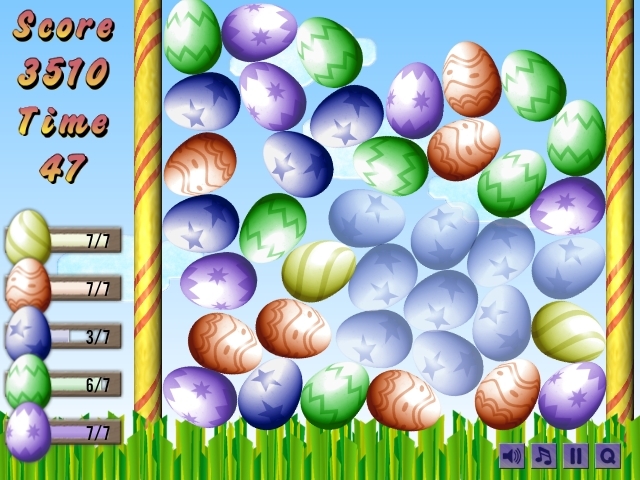 A variety of decorated Eggs, 5 are chosen at random at the start of each game. 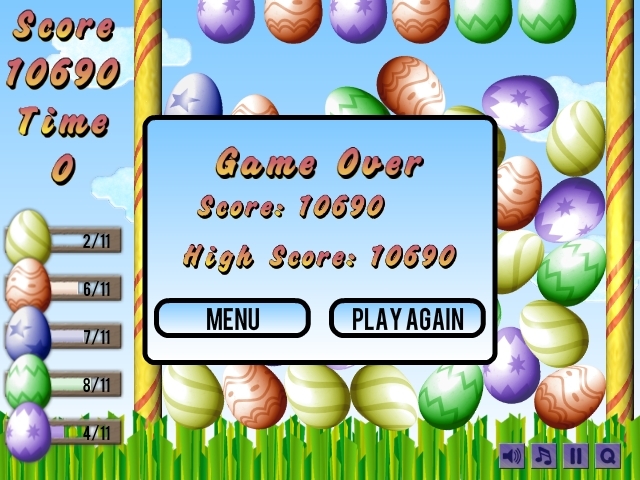 Locally saved high score target. 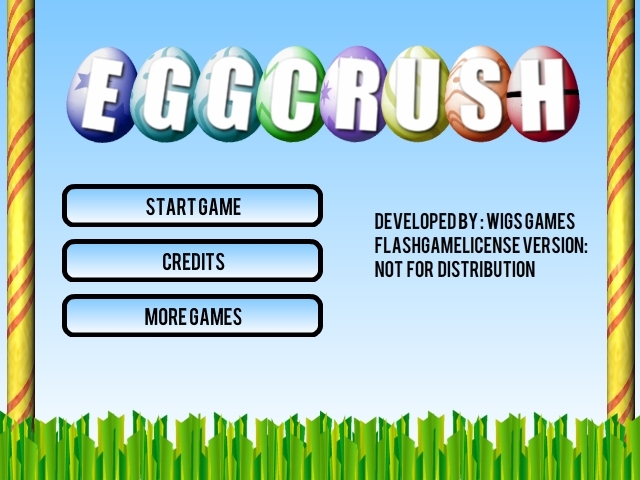 Sponsor Branding space within Pre-loader, Splash Screen, Main Menu, Credits, and throughout gameplay if required.